Microsoft continues to tweak its fledgling Bing search engine, which debuted in June. Today it announced a series of enhancements, many involving Bing Maps, designed to provide a better search experience and hopefully lure people away from Google, which dominates the search market. 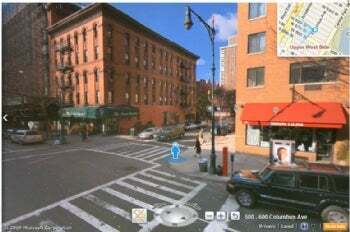 My first impression of Streetside is that its photos are clearer and more detailed than those in Google Street View; then again, Streetside is in beta and doesn't have many views yet. We'll see if Streetside maintains its higher quality once Bing expands the feature to other cities and countries. The new Applications Gallery shows a lot of promise. It's a series of map overlays that provides valuable information, including nearby businesses, local traffic conditions, and even realtime Twitter updates. Microsoft plans to open the Gallery up to developers, who can add their own apps. Honestly, I'm not sold on the Twitter feature. Far too many tweets are cryptic, superficial, or just plain dumb. 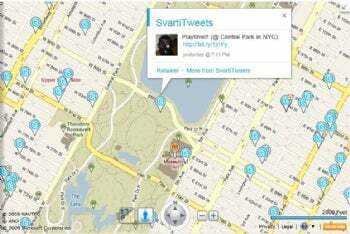 On a NYC Central Park map, for instance, one tweet included a photo of a dog with the text: "Playtime!!" Another said: "Sup bloomberg!" Not very helpful. 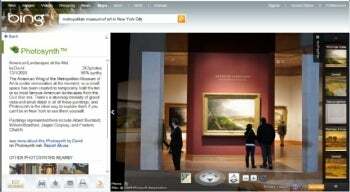 Microsoft is s also launching a new Bing app for Windows Mobile devices, as well as Bing Bar for Internet Explorer and Firefox. Certainly, some of these tools will stick, while others will vanish. And will they all work for both desktop and mobile users? I'm curious how well a graphics-intensive app like Photosynth would run on a smartphone. The good news here is that Microsoft is dishing up some serious competition to Google. And that means a better search experience for the rest of us.